When Should We Schedule HPAC’s Neighborhood Spring Clean Up? Take our poll for the picking the best date! This spring we will be tackling the trash along Highland Park Way and SW Holden St.
Trash Bags and Grabbers will be provided – bring work gloves if you have them. Does your child need service hours? This is great opportunity! We also encourage neighbors to host block and traffic circle clean ups that afternoon. Crime Prevention Coordinators are experts in crime prevention techniques. Jennifer will talk about outgoing crime problems in your neighborhood, getting involved in Block Watch and present on crime prevention tips. Save the Date for Spring Neighborhood Clean Up – April or May? Westside Neighbors Network is a nonprofit corporation started by a group of West Seattle neighbors working together to create a village on the westside. We envision our village as a network of neighbors who come together to create and sustain community. Our goal is to nurture a lively and engaged multigenerational community that celebrates and supports positive aging. The village model began in Boston and has been replicated many times throughout the country. Three other village organizations are already in place in Seattle and several other neighborhoods are planning theirs. It has been a number of years, 13 to be exact, since HPAC Bylaws have been reviewed and updated. We hope to have 2-3 meetings in Nov and Dec, in which members review current bylaws, suggest areas for revision, addition, and/or change and then assign section to be drafted with the goal to have updated bylaws to be presented and voted at our Jan 2018 meeting. If you are interested please email hpacchair@gmail.com. 1) Neighborhood Infrastructure- this committee will address issues of streets/sidewalks, transit, crosswalks, HP/SWHolden/curb cuts, traffic signals: key responsibilities can include applying for Neighborhood funding, developing campaigns, outreaching to City departments, educating policy makers. 2) Neighborhood Engagement – this committee will address issues of community engagement including safety/crime/SPD, encampments, SPU, beautification, parks, trails, trash, events, and environmental issues: key responsibilities can include applying for Neighborhood funding, coalition building with other neighborhood groups, outreaching to City departments, developing projects, and engaging neighbors. Know the structure and purpose of City government by learning the decision‐making process and influence elected officials, City departments and members of the public on the issues. Community Development Process: To identify the issues, discuss each one and agree on the priority. Sort the issues into short‐term or long‐term projects and begin to evaluate how your committee would like to approach each issue. Develop activities, strategies, and outcomes for each project. Plan and implement activities. Recruit volunteers, engage neighbors, and educate policy makers. The Puget Sound Clean Air Agency needs to hear from more people affected by the intermittently pungent garbage/mulch odor in the air. If you have been home the last few weeks, on several days when the air was still, or blowing in a certain direction, you may have detected a very strong, pungent garbage/mulch odor. When the air changed direction, the smell would dissipate, only to return when the air blew in a particular direction again. This is a new development and is not normal. Something down the hill has changed recently. After driving around looking for the source, we strongly believe to be the odor is emanating from: Eastmont Transfer Station/Waste Management and Material Recovery Facility down the hill at 7201 W. Marginal Way SW, Seattle. An inspector from the Puget Sound Clean Air Agency came out to our neighborhood a few weeks ago and confirmed the odor. Using the wind directional data and the distinct odor, she agreed that the origin was most likely the Eastmont Transfer Station. That same afternoon, she did a walk through of their facility and together they identified some areas for process improvement. Puget Sound Clean Air Agency has received very few complaints, even though the odor can be detected in other parts of Highland Park as well. Most people do not realize that The City of Seattle considers odors to be an air-quality (ie. air pollution) issue and the Puget Sound Clean Air Agency wants to hear about incidents such as this. The agency has been very responsive to the few neighbors that have complained, but they need to hear from more people. The more people who report the odor, the more quickly and effectively we can get it addressed. Please take the time to file odor reports on line, as this will help them document the problem. It is quick and easy to do. Go to: https://secure.pscleanair.org/Complaint/Odor.aspx and file a report each time you smell the smell. Retroactively is also helpful, just provide time/date of occurrence. With each report, they are able to further gather data to help solve the problem. 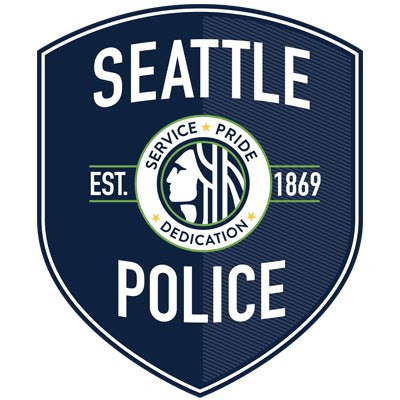 The suspected origin of the odor is: Eastmont Transfer Station/Waste Management and Material Recovery Facility down the hill at 7201 W. Marginal Way SW, Seattle. Please take the time to report the issue as many times as you smell it . With your help, we can get the situation turned around and enjoy our fresh air again. The Seattle Department of Neighborhoods will be hosting open houses to discuss two topics related to how we grow and build housing in Seattle. The open houses will take place October 17 at High Point Community Center in West Seattle and October 26 at Hale’s Brewery in Fremont. Comprehensive Plan Amendments – The City of Seattle is working to ensure that the language in existing Neighborhood Plans is consistent with the 2016 Comprehensive Plan and Mandatory Housing Affordability (MHA), a proposed policy that would require developers to contribute to affordable housing. You will have a chance to review Neighborhood Plan language and help choose new language that is consistent with the City’s updated vision and plan. Accessory Dwelling Units (ADU) – The City of Seattle is asking for ideas on what should be included in the environmental analysis (EIS) for the Accessory Dwelling Units (ADU) program. An ADU is a secondary unit inside, attached to, or in the backyard of your home. We want to help you understand the purpose and process of the EIS and find out what is important to you. HPAC maintains a Facebook page and Twitter account where we post neighborhood news, grant opportunities, and updates. Please join us on social media. There is also a Highland Park Facebook group as well where group members can post events, info, and updates, it is run by and for the neighbors of Highland Park, West Seattle. HALA & REZONING FOR AFFORDABILITY IN DISTRICT 1: THE CITY WANTS YOUR INPUT – DO YOU KNOW WHAT’S GOING ON? This informational session to help you understand Seattle’s Mandatory Housing Affordability rezones proposed for the five District 1 Urban Villages, in advance of a December city-sponsored Open House. This learning session will enable you to go the Open House knowing what is proposed and prepared to give input or ask questions of City staff. For the past year, the City of Seattle has been developing plans to fund affordable housing. One of the proposals is the Mandatory Housing Affordability (MHA) concept. Under MHA, new development in Seattle will contribute directly to affordable housing by either building affordable homes on site or making a payment to the City to fund affordable housing throughout Seattle. To put MHA requirements into effect, the City must make zoning changes that will allow more development within Urban Villages and other areas zoned for multifamily and commercial development.Proposed areas of rezoning are depicted in newly released maps, and City staff will want input on proposed District 1 rezones at their December 7 Open House. To give people tools so that they enter the City’s Open House able to give informed input and/or ask questions to get the information they need. Please join us – Rezoning for Affordability in District 1: The City Wants Your Input – Do You Know What’s Going On? There will be a coloring corner for kids. Please tell us your thoughts on MHA proposed zoning changes. Also reminder the next HPAC meeting is Jan 25, 2017.